Aspirating smoke detection ensures reliable fire detection in demanding application areas, where very early fire detection is required and business continuity is paramount. Aspirating smoke detectors continually draw samples of air from the areas requiring protection and evaluate these samples for the presence of smoke. 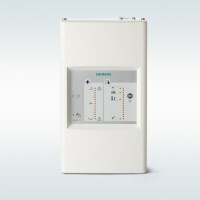 The aspirating smoke detectors FDA221 and FDA241 from Siemens use two wavelengths - blue and infrared. This enables them to detect smaller airborne particles as produced in the earliest stages of overheating or as found in open fires. By determining the size and concentration of the airborne particles, the aspirating smoke detectors are able to differentiate between smoke and dust and steam particles. As a result, they offer highest detection reliability and immunity to deceptive phenomena, thereby preventing downtimes and costs caused by false alarms. 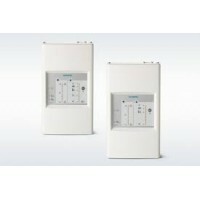 The FDA221 series of detectors are a very early warning dual wavelength (blue & infra-red) sm.. The FDA241 series of detectors are a very early warning dual wavelength (blue & infra-red) sm..